The implications, immediate and far-reaching, have been discussed almost ad nauseum in the political world, in the media, even on this little blog. But the question remains: what ought Israel do in light of the resolution’s adoption, and how should we respond (if at all) to Obama’s betrayal? In this context, if the proclaimed decision to move the U.S Embassy to Jerusalem is implemented it will send the world a powerful message. To his credit, Trump used all his weight as an incoming president in efforts to ward off the UN resolution, albeit unsuccessfully. Individual American Jews are free to express their personal political opinions in any manner they deem fit, but mainstream Jewish organizations are obliged to avoid activity which reflects political bias. Jewish unity is always an excellent idea, particularly in times of trouble. Whether American Jews or Israel’s politicians will pay any heed to Leibler’s suggestions is another matter altogether. There’s really only one suitable Zionist response to last week’s UN Security Council resolution on the settlements: massive settlement construction. That’s the appropriate response for more than one reason, but I’ll focus here on the most obvious one: The resolution proves conclusively that Israel gets no credit for showing restraint on this issue, so there’s no earthly reason why it should continue suffering the costs of restraint. As I’ve written repeatedly in the past, data from Israel’s Central Bureau of Statistics shows that there has been less settlement construction under Prime Minister Benjamin Netanyahu than under any of his predecessors. Nor is this a matter of partisan dispute: The left-wing daily Haaretz, a virulent opponent of both Netanyahu and the settlements, used the same data to reach the same conclusion last year. For Netanyahu, this restraint has come at a real price. First, it caused him political damage, because it infuriated his voter base. The result, as I’ve noted before, is that by last month, he was facing an open revolt in his own party over the issue. Second, it caused Israel strategic damage, because it kept the country from strengthening its hold over areas that most Israeli governments have considered essential for security under any future agreement. To take just one example, all Israeli premiers have deemed the E1 corridor, which links Jerusalem with the Ma’aleh Adumim settlement bloc, critical for Israel’s security – even Yitzhak Rabin, the patron saint of the peace process. Moreover, E1 in no way prevents the possibility of a contiguous Palestinian state, and has actually been assigned to Israel by every serious international peace plan ever proposed. Yet for years, Israel has refrained from building there out of deference to international public opinion, even as illegal Palestinian construction has mushroomed in this formerly empty area. The result is that it now has no “facts on the ground” to act as a counterweight to Palestinian claims. And since Palestinian claims always enjoy the international community’s automatic support, facts on the ground, in the form of large numbers of Israelis whom it’s simply too difficult to evacuate, are Israel’s best guarantee of retaining areas it deems essential to its security. The settlement blocs are all within commuting distance of the center of the country, which is where the jobs are, and thus where people want to live; inside the Green Line, in contrast, there are few empty areas left in the country’s narrow waist. 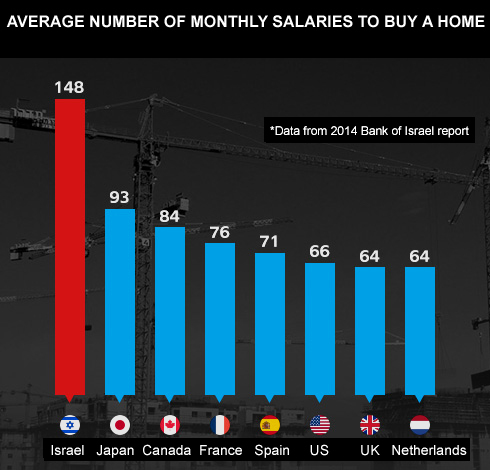 And in Jerusalem, the housing shortage is the main reason why the capital loses some 18,000 Jews every year. Netanyahu was willing to absorb all this damage in the belief that international leaders, regardless of what they said publicly, would know the truth about the brakes he has put on settlement construction and support him when it mattered. But to most of the world, the facts have never mattered where Israel is concerned, and it turns out the same is true of the post-truth Obama Administration. So if Israel is going to be accused of “accelerated settlement activity” and slapped with potentially serious consequences no matter how much restraint it shows, there’s no justification whatsoever for it to incur the very real costs of this restraint. Hence there’s only one sensible response to this resolution: Build, baby, build. And once again, in case anyone had the slightest doubt about the invalidity of the “Israeli occupation” myth, law blogger Elliott Hamilton lays to rest the myth of the “illegal Israeli occupation” in a scholarly article in The Daily Wire. From the perspective of someone who does not understand international law or the history of the Arab-Israeli conflict, this resolution tells the story that Israelis have trampled over Palestinian lands illegally and decided to build houses on them in a fit of colonial aggression. Unfortunately for them, that is nonsensical and false. I recommend you read the entire article which has detailed quotes from the laws of treaties from the International Committee of the Red Cross. We must keep hammering this point home until the world gets it. US secretary of state John Kerry on Wednesday laid out his “comprehensive vision” for the future of Middle East peacemaking, saying that a two-state solution was the “only way to ensure Israel’s future as a Jewish and democratic state,” but promising that the US would not seek further UN action on the conflict. Can we trust him and his boss on that promise that they won’t seek further UN action? I’m not willing to bet on it. Castigating the coalition of Prime Minister Benjamin Netanyahu, he said it was “the most right-wing in Israel history with an agenda driven by the most extreme elements. The result is that policies of this government, which the prime minister himself just described as more committed to settlements than any in Israel’s history, are leading … towards one state. In fact,” he added, “Israel has increasingly consolidated control over much of the West Bank for its own purposes. With less than a month as secretary of state, Kerry sought to champion the two-state outcome he worked to achieve throughout the last four years, saying it was the only path forward. Incoming president Donald Trump has signaled he may not be committed to the two-state framework. He rambled on in this vein for the rest of his speech. You can read more at the link, and the entire text is here. David Horovitz of the Times of Israel blasted Kerry, saying that he did everything but call Israel apartheid. About half an hour into John Kerry’s valedictory lecture from the State Department on Wednesday evening, Israel’s most popular television station, Channel 2, stopped broadcasting it live and switched to other programming. The country’s two other main TV stations, Channels 1 and 10, had already electronically left the building. Given that Kerry’s anti-settlement and anti-occupation address was primarily directed at the Israeli public, the ratings-conscious schedulers’ impatient transition to other material rather encapsulates the climate in which the secretary’s extensive remarks were being received here. 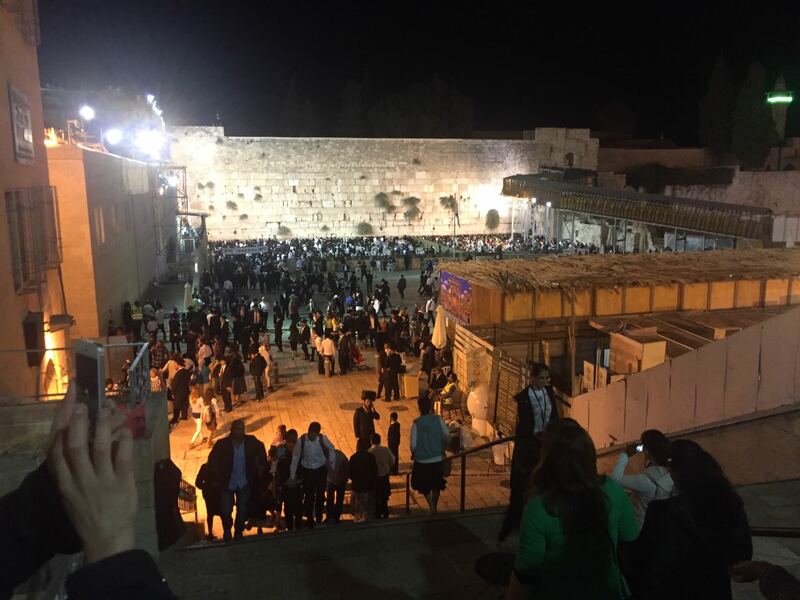 Many in the Israel of 2016 would share some of the arguments they largely didn’t hear Kerry deliver on Wednesday evening. Many recognize the dangers of being permanently intertwined with millions of hostile Palestinians, and fear that the expansion especially of those settlements and outposts that lie to the east of the security barrier increases that risk, and thus puts a two-state solution in danger, threatening Israel’s Jewish character, or its democracy, or both. 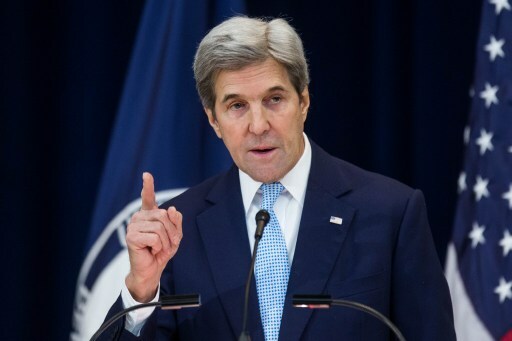 Kerry’s was a fiery critique, indeed, marked by the allegation that the settlement movement is driving the agenda of the Israeli government, and that Netanyahu has been allowing some of the most extreme voices to draw Israel closer to the Zionist nightmare of a single bi-national state between the Mediterranean Sea and the Jordan River. Just about the only charge Kerry didn’t lob, this time, was apartheid. … He mentioned terrorism and incitement. But the Obama administration never truly internalized the impact of these endless decades fighting off attempted destruction. And Kerry has self-evidently never been willing to internalize that in the vicious Middle East of the past few years, talking up the possibility of relinquishing control over adjacent West Bank history — with its recent history of suicide bomb factories, with Hamas angling to take control, with a hostile Iran emboldened to the east by the Obama Administration’s own nuclear deal — is just that for most Israelis: talk. We left south Lebanon. Hezbollah took over. We left Gaza. Now it’s ruled by Hamas. When the secretary expresses his “total confidence” that Israel’s security requirements in the West Bank can be met via sophisticated multi-layered border defenses and such, he quite simply loses Israel. He would have had more chance of success — or at least of creating a climate in which prospects of progress would be brighter — had he focused more of his attentions on the toxic climate among Palestinians. They are relentlessly educated on the illegitimacy of Israel, with that narrative hammered home over social media, by their political and spiritual leadership, sometimes in their schools. He never strategically attempted to tackle that process of indoctrination. Easier to place overwhelming blame on the settlers rather than the Palestinians. Or, heaven forbid, on yourself. Long, and without many new elements in it. What a tired-looking, hoarse Kerry did for more than an hour was pretty much compile the “greatest hits” from numerous speeches he and US President Barack Obama have given over the last number of years on the Mideast. Nevertheless, two elements of the speech were striking. The first was the insistence that the only solution to the conflict is either two-states, or one. This is the mantra that has been repeated for so long, that it has become axiomatic. But it also drowns out any possibility of creatively looking at other options, a different way. If the efforts to negotiate two states has failed for so long, perhaps it is time to consider whether there may be other options that might bring Egypt and Jordan into the equation. Perhaps what is needed is a reassessment of all the the assumptions over the last 23 years that have ended in the current stalemate — first and foremost that the only option is two states from the Mediterranean to the Jordan River. For instance, in 2010 former National Security Council Giora Eiland spelled out a plan for a Jordanian-Palestinian federation, in which the West Bank and Gaza would be states in an expanded Jordanian kingdom. Another idea would see the establishment of a Palestinian state, but it would be based on land swaps between Egypt, Israel and a future Palestinian entity that would significantly expand the size of Gaza, allow Israel to retain a good percentage of the the West Bank, and provide Egypt with a land link to Jordan. These ideas are too often dismissed as unrealistic, something that the Palestinians would never accept. Kerry reinforces that way of thinking with his stating as truth that it is either two states or one state. The Kerry speech was also telling in that it included a call for Israel to withdraw from the territories and uproot settlements. This is a demand for Israel to make huge compromises. There was, however, no comparable demand for compromise on the Palestinian side. Kerry called, and says that the US has done so on innumerable occasions, for the Palestinians to stop the terrorism and the incitement, and to build up good governing institutions. But those are not compromises. A Palestinian compromise would be to recognize that — given everything going on in the Middle East — Israel must retain security control of the Jordan Valley. A compromise would be for the Palestinians to state that they are giving up on the “right of return,” and that they recognize Israel as the homeland of the Jewish state. Throughout his career, both in the senate and as secretary of state, Kerry’s speeches on Israel give the listener a sense that he knows what is better for Israel, its future, and security than the Israelis themselves. His speech Wednesday night was true to that rather patronizing form. Thank you for your support, Mr. Hoyer. You are on the right path towards restoring Israelis’ and Jews’ trust in the Democratic Party. Kerry: "Arab countries won't make peace with Israel without Pal peace." Um, Jordan and Egypt? And unofficially Morocco and others? Kerry says crossings into Gaza are closed. Flagrantly false. Many tons of goods are transported from Israel into Gaza every day. Kerry really sticking on this lie that Israel cannot be both Jewish and democratic without a two-state solution. This is, again, a lie. Kerry: "I have total confidence Israel's security can be met by doing what I say." Most delusional Secy of State ever. Kerry speech: bottomless self-righteousness, supreme self-confidence, idealism unburdened by reality, zero humility, no lessons learned. I'm an Israeli Dad of 5 kids. Please don't presume that you value peace anymore than we do. But we value our lives too. On June 2, 2016, Muhammad Al-Sa’id, a columnist for the official Saudi daily ‘Okaz, published an article titled “Ayatollah Obama – A Tehran Love Story,” in which he attacked President Obama for supporting revolutionary Iran and striving to focus U.S. foreign policy on the far east, while abandoning the Middle East. According to him, this view by Obama is disconnected from reality and runs contrary to traditional U.S. policy, which considered Iran a country violating international law and supporting global terrorism. Al-Sa’id argued that Iran is exploiting Obama’s support to realize its own interests, and harnessing U.S. administration circles to operate in its service and against its enemies. “Obama believes in revolutionary countries and feels that they are closer to his heart and his conscience than the veteran, stable nations. He believes Iran is a model for a successful revolution that can be improved upon, worked with, and transformed into a democratic revolution, as he sees in his senseless dreams. This is a romantic view that Obama holds from the height of his white throne in his black house. A view akin to an eastern tale filled with the scent of incense, the taste of pistachios, and a celestial carpet bazaar. He believes that he can realize [this dream] based on a document by the American National Security Council, even if it claims the lives of tens of millions of innocent people. At the same time, Obama dreams of implementing his political view… which is based on abandoning the old world – from Casablanca in the West to Manama in the East – and replacing it with the [Pacific Rim] countries – from Korea in the north to New Zealand in the South. “The relationship of conflict and struggle between Tehran and Afghanistan and the Arabs is ancient… but [there is] another, even more dangerous, link that was born in those same barren deserts between two elements with opposite ideologies – namely the Sunni-Arab Al-Qaeda [organization] and Shi’ite Iran – which is the current key to Uncle Sam’s satisfaction. Thanks to the link between Iran and Al-Qaeda, Iran has managed to fully control this barbaric group’s branch in Afghanistan from 2003 until today by hosting its activists and their families in safe houses and diverting their threat towards Saudi Arabia. We should mention that the violent actions [of Al-Qaeda] against Saudi Arabia began after 2004. “The Iranian politician did not make do [with helping Al-Qaeda], but also tried to appease the West by providing intelligence on Al-Qaeda and the terrorist organizations tied to it, and even sacrificed the lives of commanders [in the group] who were no longer important [to Iran], turning them into a reward for the U.S. administration – [a reward] that this administration uses occasionally [to show it is combatting terrorism]. And why not? [After all,] Al-Qaeda runs its activity from offices in the eastern neighborhoods of Tehran. “Naturally, Saudi Arabia was in the crosshairs of Iran, which saw the personality of ‘Mullah Obama’ as a safe haven to realize its interests. The ripeness of the Iranian lobby [in the U.S.] and its infiltration into American media, and especially into the State Department, enabled Iran to do this. ‘Okaz (Saudi Arabia), June 2, 2016.